It is that exciting time of year when the Miss Raymond, Junior Miss Raymond and Little Miss Raymond Pageants take place. The contestants vying for the Miss Raymond 2016 title are: Alyssa Sylvia, Emily Finnegan, Grace Woolson, Tovah Duffaut, Savannah Cooney, Alexandra Doherty, Lizzy Wolcott and Savannah Witham. Holder of the current title is Katarina Vogel, 17. Junior Miss Raymond 2015 was Maggie Paris. 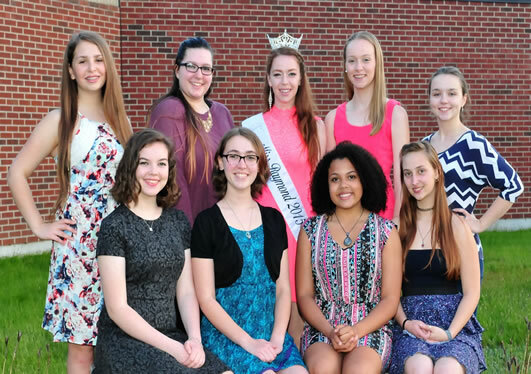 This year the contestants vying for the Junior Miss Raymond Title include: Kathryn Doucette, Kiara Lowman, Paige Rivera, Nicole Pulak, Kayla Lind, and, Aurora Paci-Burghardt. 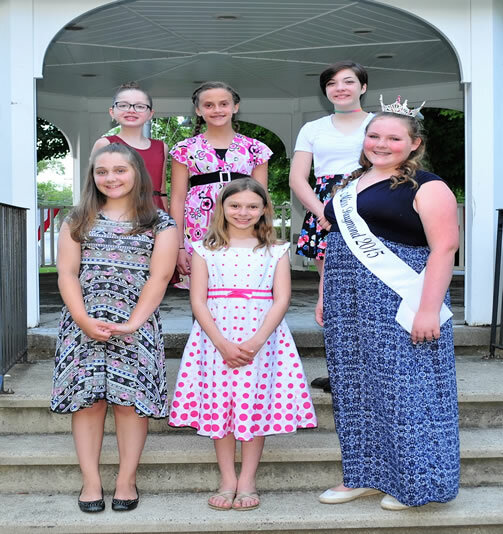 The contestants for the Little Miss Raymond title include: Becca Lowman, Addison Grace Campbell, Danica Jade Stuchell, Desiree Duffaut, Katelyn Cooney, and, Lara Finnegan. The Little Miss Raymond hopefuls range in age from 5 to 9 years old. The Miss Raymond Pageant will take place on Thursday, July 7 at 7 p.m. at Raymond High School, with the doors open at 6:30 p.m. The Junior Miss Raymond and Little Miss Raymond Pageants will take place on Saturday, July 9 beginning at 1 p.m., with doors opening at 12:30 pm. The Little Miss Raymond competition will take place just before intermission of the Junior Miss Raymond pageant. Tickets can be purchased in advance at the Raymond Recreation Department, or at the door. Miss Raymond tickets are $10 each, and the Junior/Little Miss tickets are $8. Left to Right Back Row:Savannah Cooney, Alexandra Doherty, Katarina Vogel: Reigning Miss Raymond 2015, Emily Finnegan, Grace Woolson. Left to Right Front Row/Seated: Lizzy Wolcott, Alyssa Sylvia, Tovah Duffaut, Savannah Witham. Back Row Left to Right: Nicole Pulak, Paige Rivera, Kathryn Doucette. Join the Local Cubscouts or Boy Scouts more info. Raymond Silver Saddles 4-H Horse Club more info. Local 4H Club News, Activities and Contact Information. "Never believe that a few caring people can’t change the world. For, indeed, that’s all who ever have." It’s how you face up to them and fix them. When first we practice to deceive!"